Around 6 months ago I started working on a MEAN based Blogging Platform and last month it reached a point where I could use it create a new blog from scratch. The blog is called wisdomtoinspire.com and it's been picking up pretty quick since it's launch. As the Blogging platform I built is a very generic manner (i.e. can be used to host any type of blog and content type), I opted to using AWS S3 for storage of all the assets. It's mainly used to store Images and content which I upload via my Blogging CMS. Go to the S3 Console Panel and select each one of my 600 plus images one by one and manually had the Cache-Control header for each. 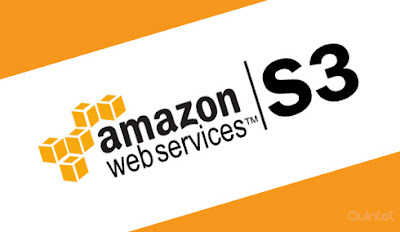 Write a script that will use the AWS SDK and automate this. Being a coding freak obsessed with automation and scripting, I opted for option 2. I also didn't have much time to work out how to do this, but I went over the AWS S3 SDK documentation and wrote a NodeJs script built on top of the aws-sdk NPM package that let's you enter your S3 bucket and specify the Cache-Control you need and it loops through each Object in the S3 Bucket and update the Cache-Control header. At a high level, how I do this is to copy the Object into the same Bucket with the same name and specify a "Replace" which effectively updates the object. This seems to be the only way to do this based on my reading around, but please comment below if you disagree.